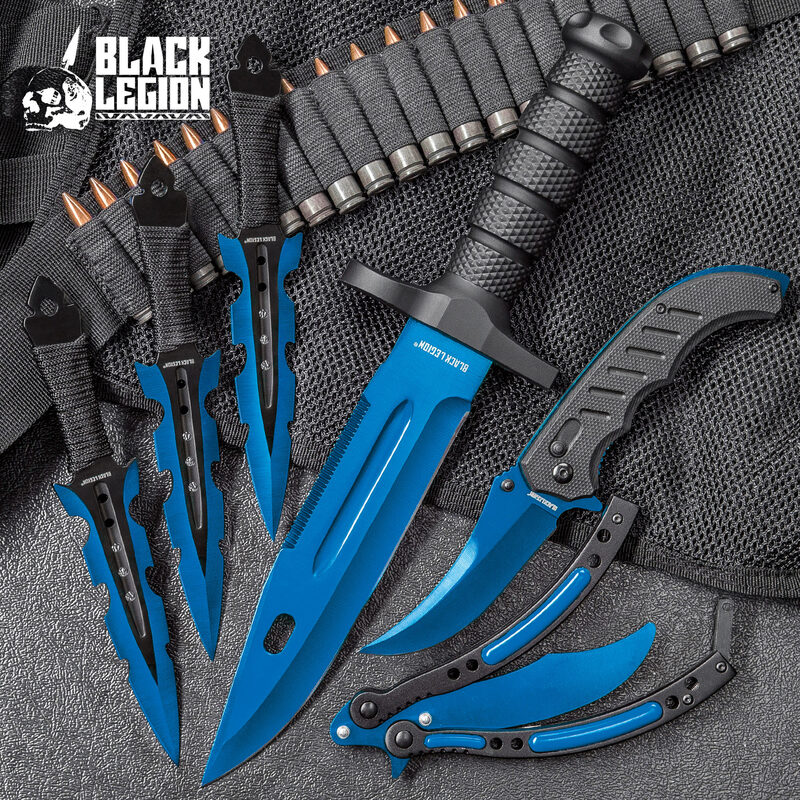 The Black Legion Blue Streak Knife Set is just packed with sharp and delicious goodies! You are getting a survival knife, three throwing knives, an assisted opening pocket knife and a butterfly trainer, all with eye-catching, metallic blue stainless steel blades. 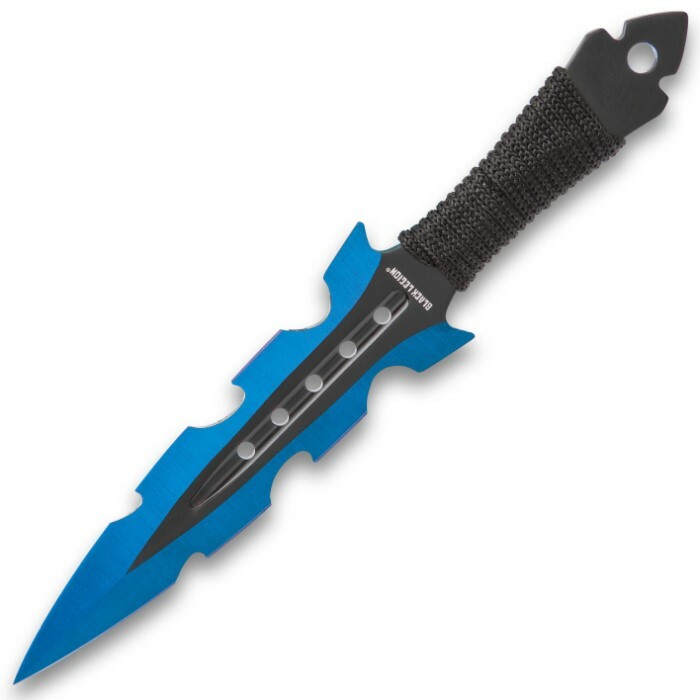 The impressive survival knife has a beefy TPR textured and ridged handle with a heavy-duty guard. 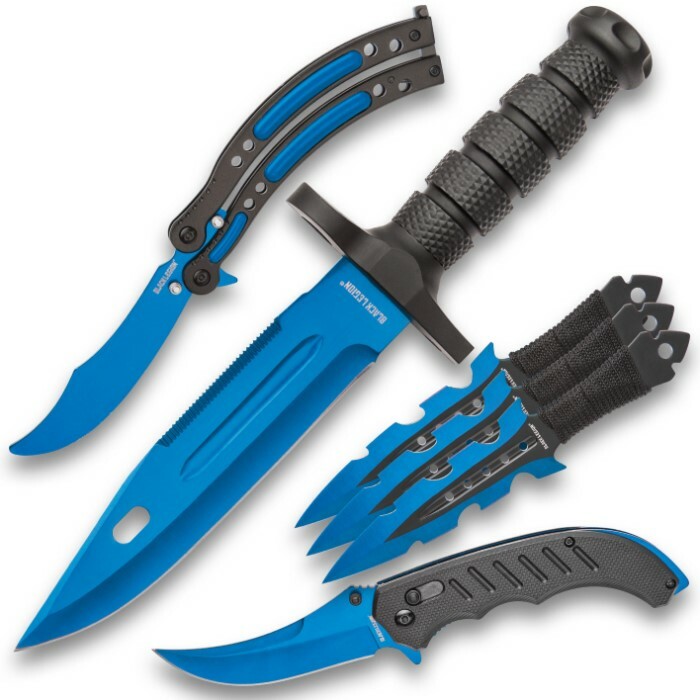 The 7 1/2” blade is razor-sharp and features partial serrations on the spine and a blood groove. 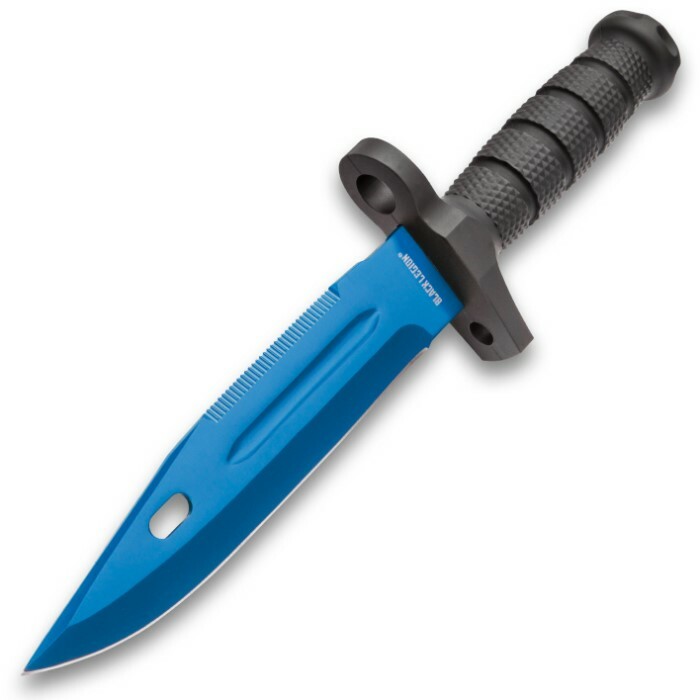 It comes housed in a tough TPU leg and belt sheath. 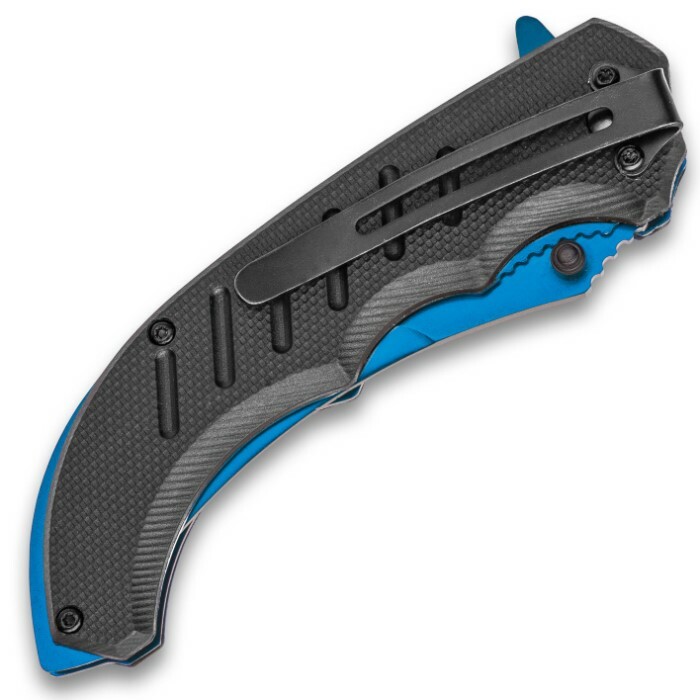 The ergonomic pocket knife has a grippy TPU handle with a pocket clip and a razor-sharp, 3 1/2” assisted opening blade with a thumbstud and flipper. 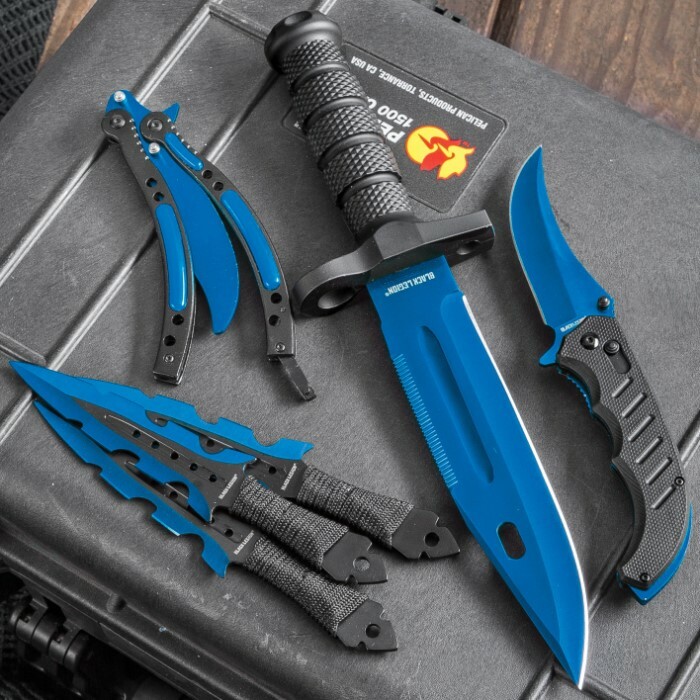 The set of three throwing knives have cord-wrapped handles and 4 1/2” stainless steel blades with jagged cut-out edges and through holes. 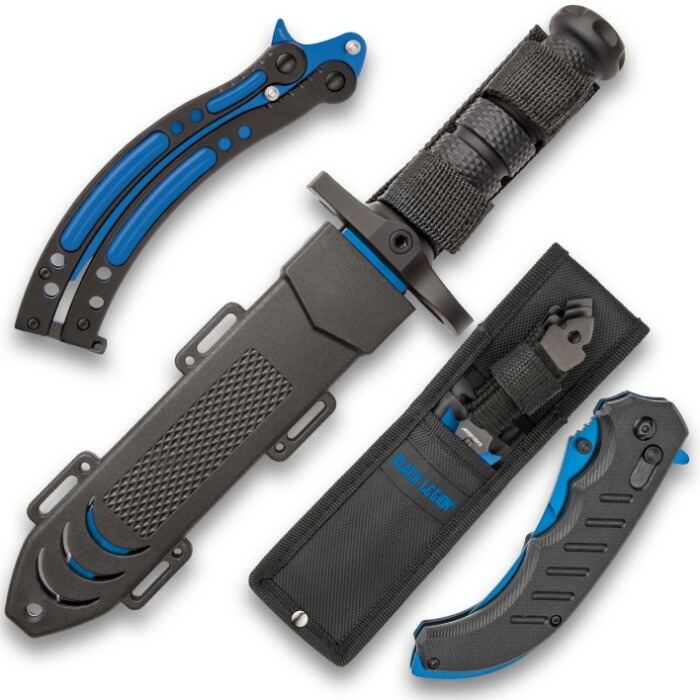 All of the throwing knives fit in a sturdy, nylon belt sheath. 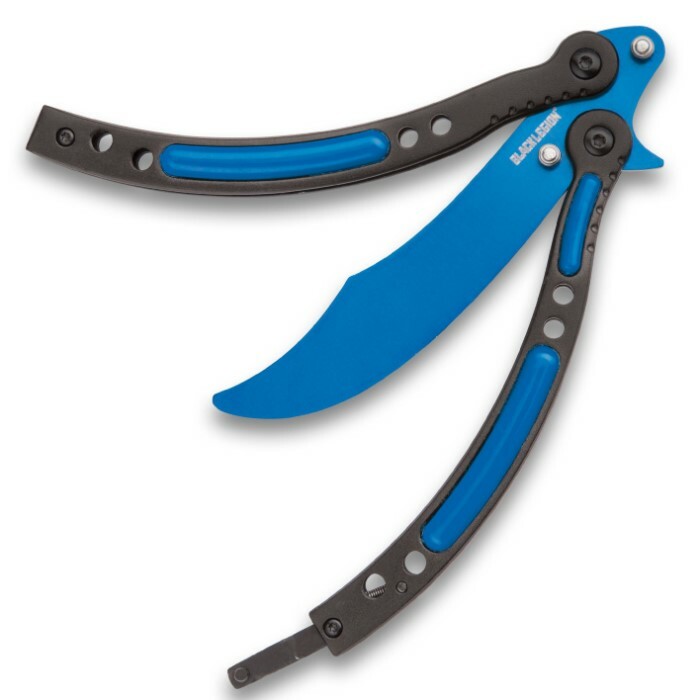 The butterfly trainer has locking aluminum handles with blue plastic accents and a stainless steel blunt trainer with no edge for safely practicing your flipping skills. Don’t miss out on this fast and furious set!